For those living in the eastern half of the country, this may come as no surprise. This autumn was the warmest on record for the contiguous U.S., with every state in the Lower 48 recording above-average temperatures from September through November, the National Oceanic and Atmospheric Administration announced Wednesday. 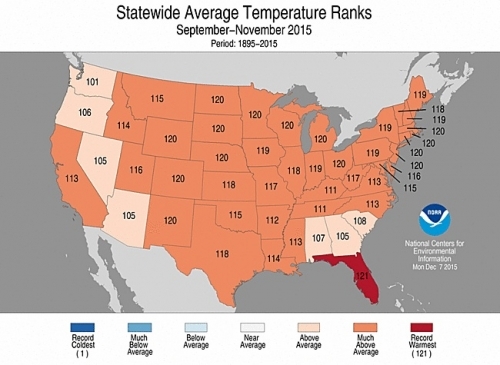 Fall temperature rankings for each state in the contiguous U.S.
For the year-to-date, this is the fifth warmest year going back to 1895 for the contiguous states, the agency said. That heat across the U.S. fits the global picture for the year, with 2015 expected to best 2014 as the hottest year in the books. The overwhelming cause for the chart-topping warmth is the excess heat trapped by greenhouse gases accumulating in Earth’s atmosphere. For much of the year, the temperature pattern in place over the U.S. could be summed up as “warm west, cold east.” But during the fall, that pattern reversed, and in November, it was distinctly the opposite. El Niño-fueled storms began to drop rain and snow over the West in late autumn and brought in cool air that helped to push down temperatures, Jake Crouch, a National Oceanic and Atmospheric Administration climatologist, said in an email. Climate patterns in the North Atlantic helped to fuel the milder weather in the East, he said. Temperature rankings for November for each state in the contiguous U.S.
For the autumn as a whole, every one of the Lower 48 states had above-average temperatures. For the West, that warmth came earlier in the season; in the East there were repeated bouts of unusually balmy weather throughout the season, but things turned particularly toasty in November. Almost every state east of the Mississippi had a top 10 warmest November and quite a few had a top 5 warmest one. 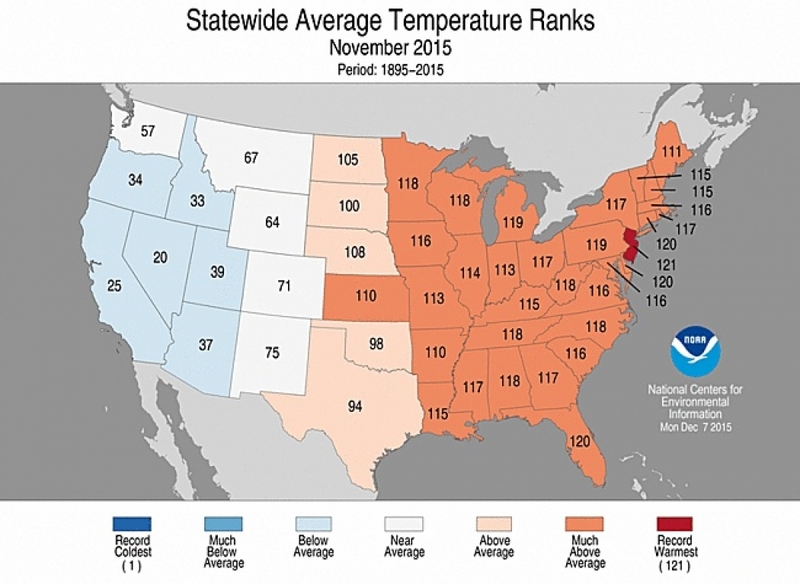 New Jersey had its warmest November ever, while Florida had its second warmest and tied its warmest-ever autumn. It is on track for its hottest year on record. 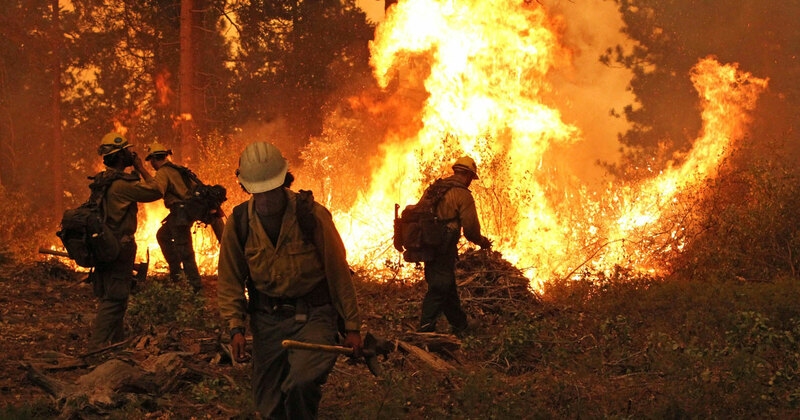 Three western states — Nevada, Washington and Oregon — are also still tracking a record-hot year. That number has declined from the eight western states that were record warm through October, thanks to that stormy pattern that brought in cooler temperatures and precipitation. 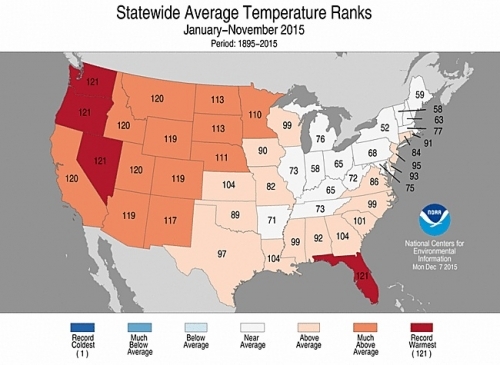 Most of those states, though, are still having their second or third warmest year. Year-to-date temperatures for each state in the contiguous U.S. 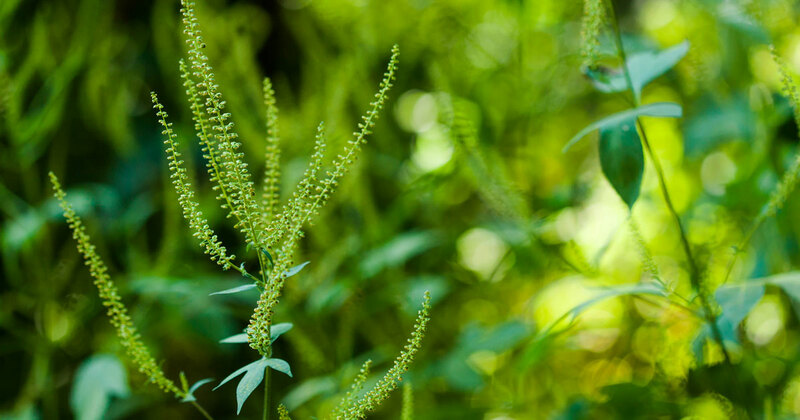 While weather and natural climate patterns play a role in temperatures across the U.S., the overall background warming of the planet has tipped the odds in favor of heat records and away from cold ones. 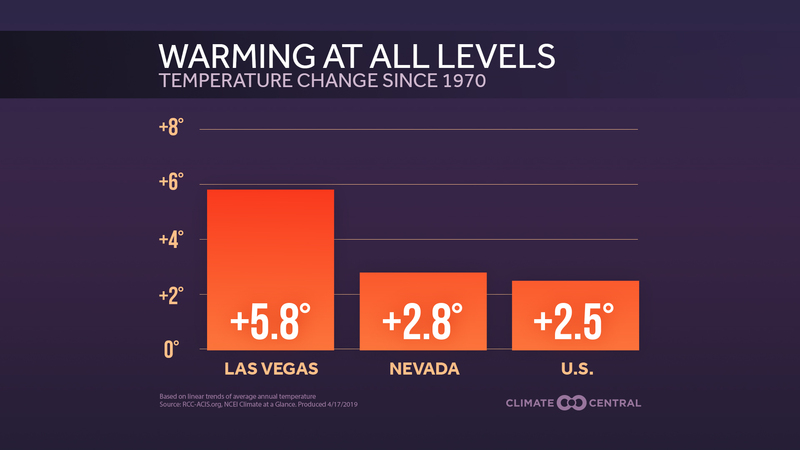 Over the last few decades, record highs in the U.S. have significantly outpaced record lows. And the variability of U.S. weather this time of year is too high to say for sure where 2015 will end up. But that global record? That’s virtually a lock.